Frederick Stowe was Harriet Beecher Stowe’s “smart and lively boy – full of all manner of fun and mischief, fond of reading more than hard study.” He was eleven in 1851 when his mother’s book ‘Uncle Tom’s Cabin,’ catapulted her into international celebrity. The family moved to Andover in 1853, where Frederick was enrolled at Phillips Academy, and began to develop the addiction to alcohol that he would fight for the rest of his life. 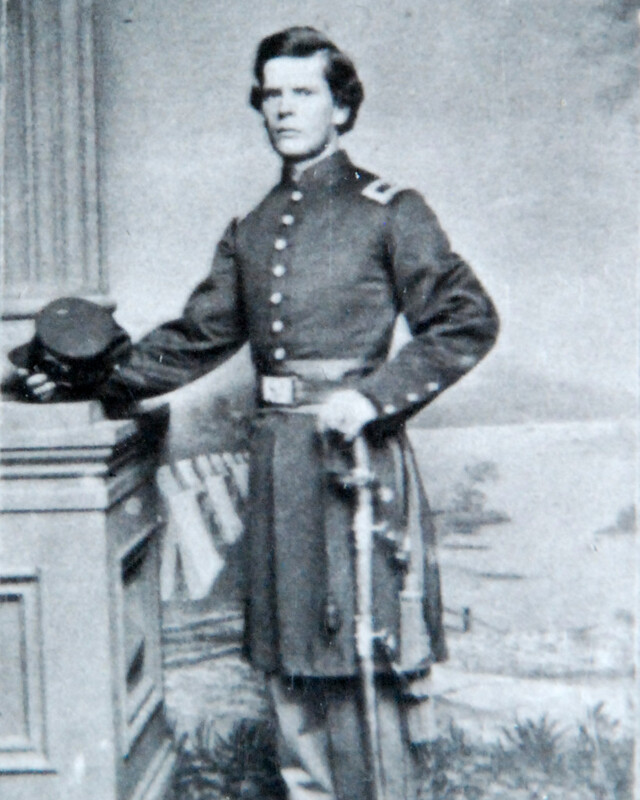 Frederick’s first year at Harvard Medical School was interrupted by the war. He saw his first action at the first Battle of Bull Run in July 1861. Universally recognized as a celebrity’s son, he received a number of promotions and plum positions, including an appointment to the staff of a brigadier general. He was mostly sheltered from danger, but July 1, 1863 found him on Cemetery Hill at the Battle of Gettysburg. On the third day of the famous battle, Capt. Stowe was struck on the head by a fragment of a shell which entered his right ear. After the war, Stowe continued to struggle with his drinking. His mother attempted to settle him to the management of a plantation in Florida, but in 1871 he boarded a ship bound for San Francisco. He arrived safely and wrote that he intended to go to sea. But he was never seen or heard from again. Harriet Beecher Stowe refused to believe that he was dead and for the rest of her life, hoped to receive a letter.